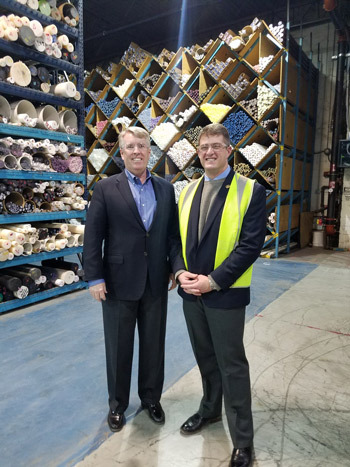 On Tuesday, I toured Ensinger Plastics’ North American headquarters in North Strabane Township. The company, which was founded in 1986, processes high performance engineering plastics. Pictured with me is Bill Matthews, vice president of administration. Last week, the House Committee on Committees met to finalize assignments for the 25 standing committees to cover the 2019-20 legislative session. This term, I will be serving on the Environmental Resources and Energy, Gaming Oversight, Liquor Control, and Veterans Affairs and Emergency Preparedness committees.